Across North Evia coastline constantly alternates. Rocky beaches, big or small pebble beaches or imitating exotic islands with fine sand. It is no coincidence then, that so many visitors choose Evia for their summer destination. 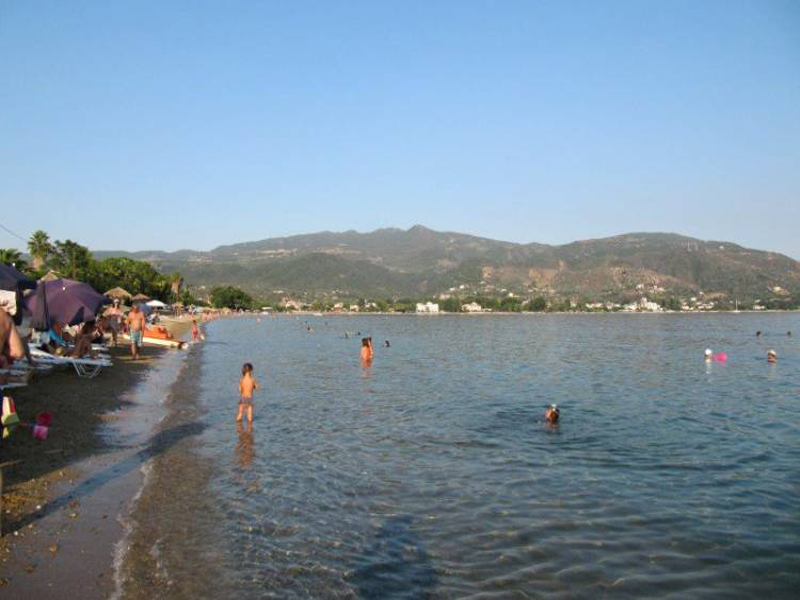 The West side has calm waters, warm enough and light blue, perfect for families and all ages, are among the cleanest in Greece. The north side has deeper waters with low currents which constantly maintain the waters cool and clean. 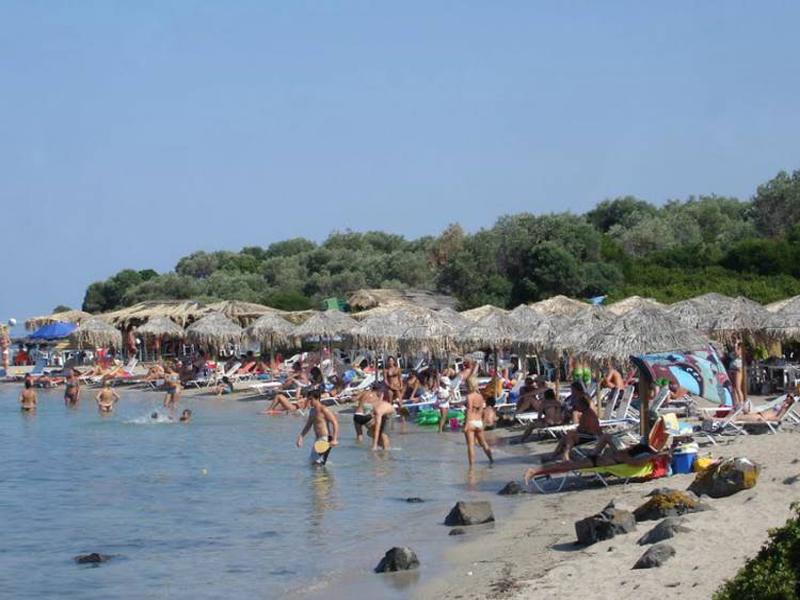 On the east side the landscape changes, with our look on the Aegean sea, the waters are deep blue, with strong waves several times, with sandy beaches. 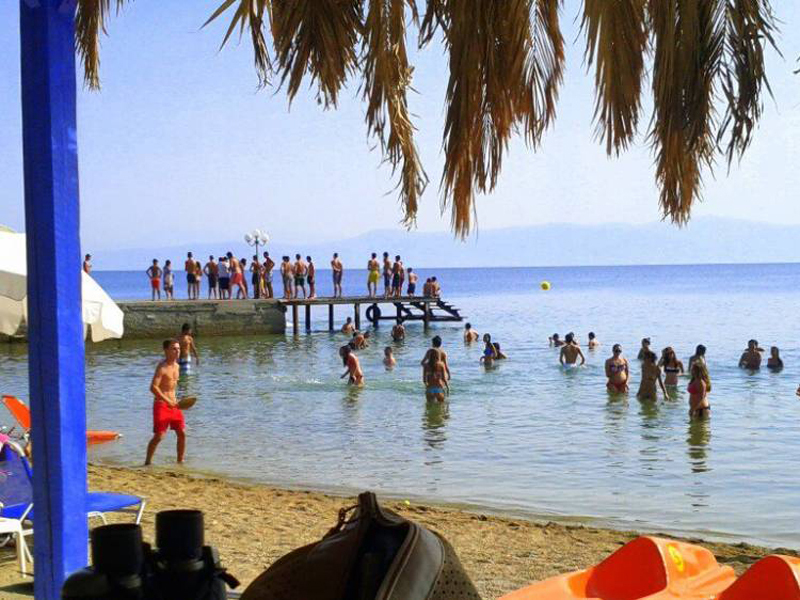 Edipsos Beaches and Healing Waters: You can swim in the sandy beach of Edipsos with the hot springs that run from the Thermal Rock. 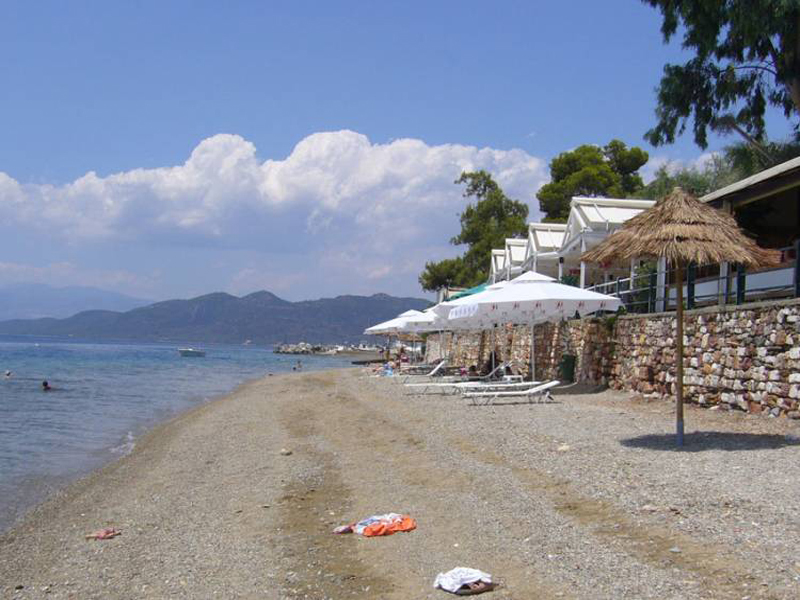 The Characteristic of the beaches in Edipsos, is the rocky beaches alternating on a pebble and sand, with warm waters. 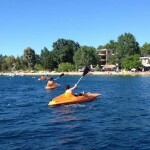 Ideal for families because the waters are relatively shallow and without currents. 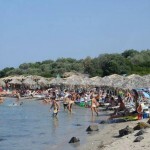 Agios Nikolaos: With the crystal clear waters and fine sand. Here, in the taverns by the sea, you will enjoy fresh fish and seafood. 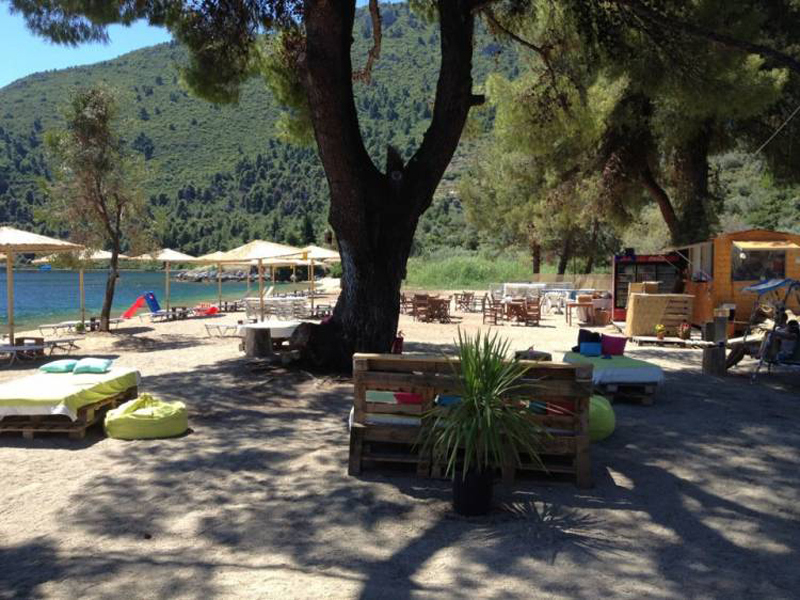 Beach Ilia: That little fishing village is waiting you to taste the seafood of Evia and swim in the turquoise beach with pebbles. 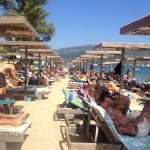 Fteri – Riviera: Is an organized beach with a beach bar, and great long sandy beach. Ideal place for families and younger ages. 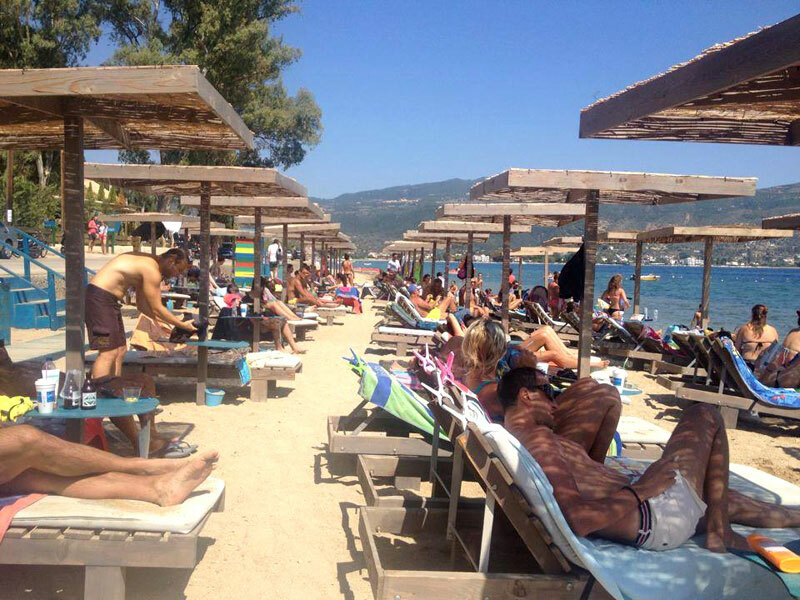 Porto Pefko: Through the pines, with fine sand and organized beach bar, is for those who want to embrace the bay overlooking the town of Edipsos, in crystal clear deep waters. Milos Beach: A dream landscape, crystal clear waters, peace where the green pines meet the blue sea. 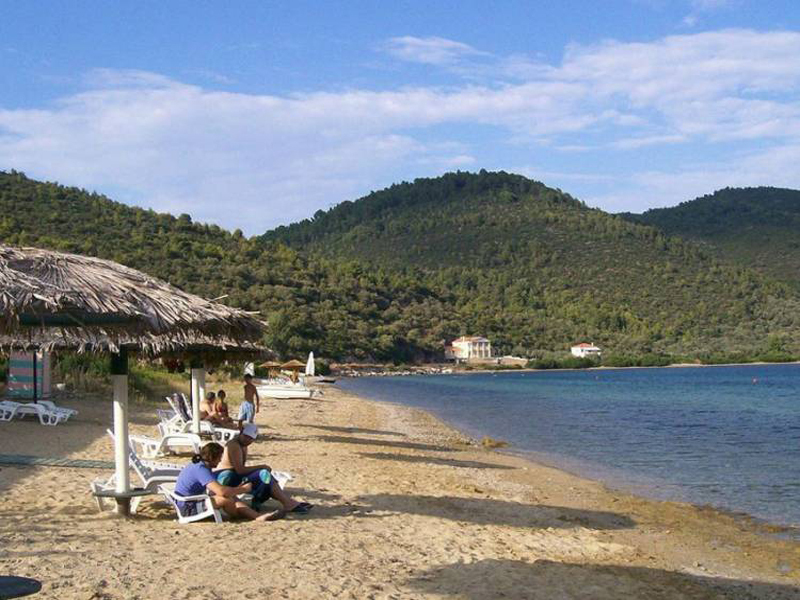 Xrisi Akti: True to its name, Golden Beach is a fine white gold sand, one of the best beaches. 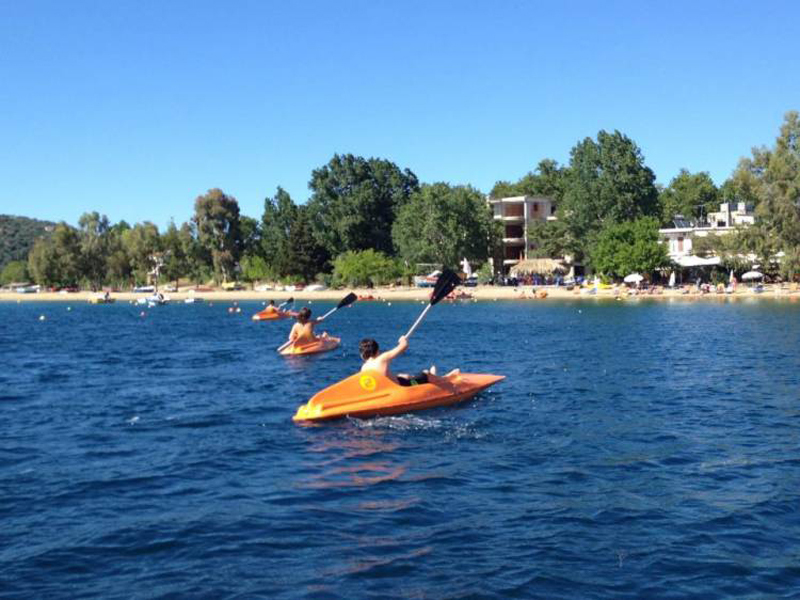 Enjoy your coffee at the beach bar and for the more adventurous there are water sports. 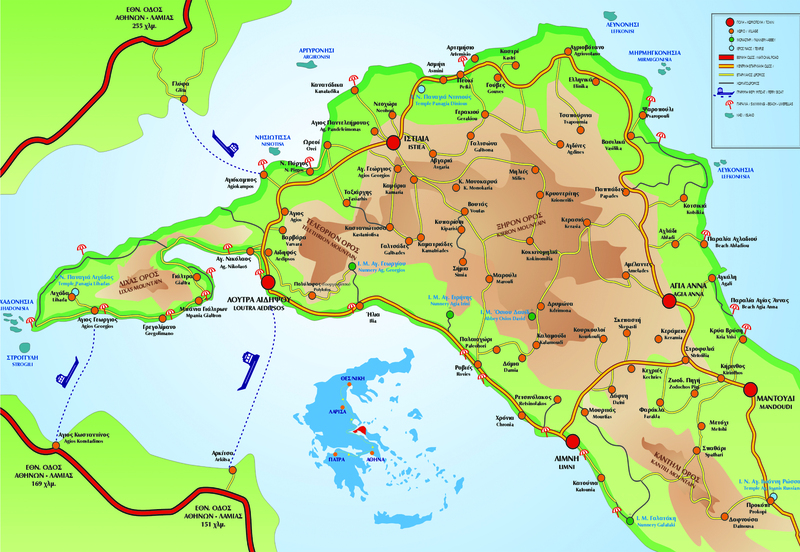 Kavos – Lichadonisia: The Seychelles of Greece, as many call it. Those small volcanic islands attract visitors and small boats. 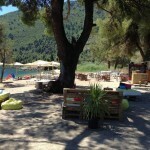 With a very good beach bar you can spend an unforgettable time of relaxation. 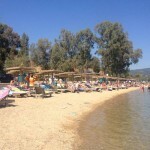 Agiokambos: At the port Agiokampos will find well organized beach bar. Fine sand, cool waters and turquoise color. 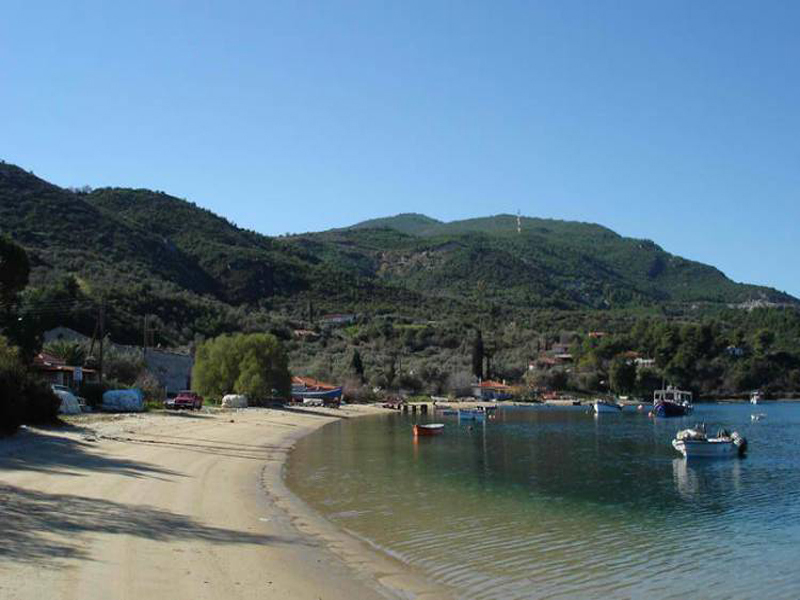 Nisiotissa – Orei: Passing Pirgos village, we find the beach Nisiotissa, big impression makes us the fine golden sand, and the island was once joined to the mainland. Tsoukaiti – Kanatadika: The great length, the cool waters and the many Beach bars are the reasons that make this beach so well known. 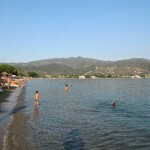 Pefki: One of the most famous beaches of North Evia, due to its large size, fine sand and the port that connects Evia Skiathos – Skopelos. Psaropouli – Ellinika: After Gouves road alternated with pines and olives as graphic Agriovotano with nice views. From here we will meet Ellinika to descend to the sandy beach of Agios Nikolaos and its small island. 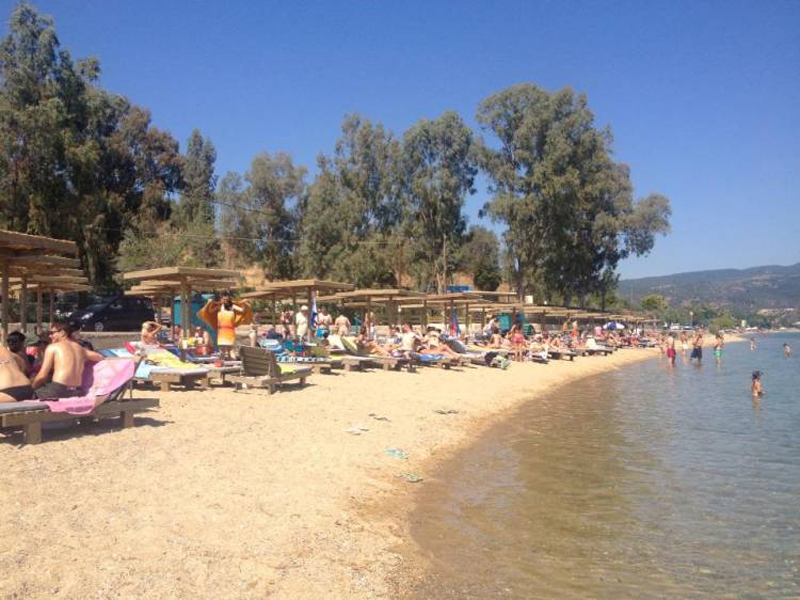 A little further, we find the beach Psaropouli the extensive sandy beach and the many restaurants.